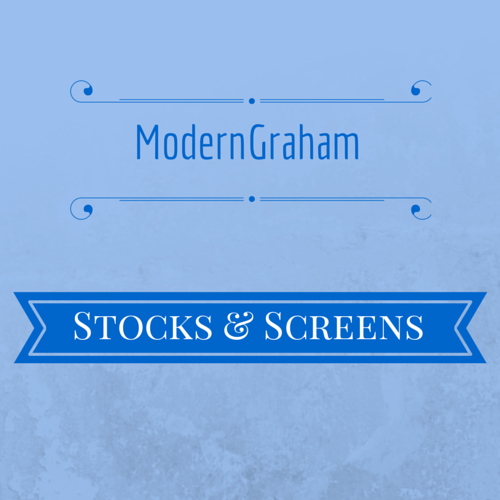 March 29, 2017 March 29, 2017 Leave a Comment on April 2017 Stocks & Screens Now Available! March 2017 Stocks & Screens Now Available! February 22, 2017 Leave a Comment on March 2017 Stocks & Screens Now Available! January 25, 2017 February 2, 2017 Leave a Comment on February 2017 Stocks & Screens Now Available! December 30, 2016 Leave a Comment on January 2017 Stocks & Screens Now Available! Thank you to all members for helping to support my continued efforts on this site by being premium members. This month’s premium content is now available. Get it here if you’re currently a premium member, or learn more about my premium content. November 29, 2016 Leave a Comment on December 2016 Stocks & Screens Now Available! August 24, 2016 Leave a Comment on September 2016 Stocks & Screens Now Available! July 27, 2016 Leave a Comment on August 2016 Stocks & Screens Now Available! Thank you to all members for helping to support my continued efforts on this site by being premium members. I can’t do this site without premium members. This month’s premium content is now available. Get it here! June 29, 2016 June 28, 2016 Leave a Comment on July 2016 Premium Content Now Available! May 25, 2016 May 24, 2016 Leave a Comment on June 2016 Premium Content Now Available! February 24, 2016 Leave a Comment on March 2016 Premium Content Now Available!